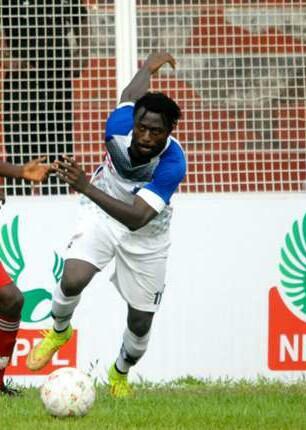 Sunday turned out to be special day for highly rated Lobi Stars forward, Tony Okpotu, who celebrated his birthday by scoring his third goal, this term, to give the Makurdi side victory over Gombe United. Not every player gets the chance to score on his birthday, but Okpotu made it a special occasion on his big day as his goal turned out to be the catalyst for post-match celebration. “This goal remains special to me because it’s the first time I’ll to score on my birthday. It doesn’t happen all the time and I see it as an opportunity to thank God for favour. 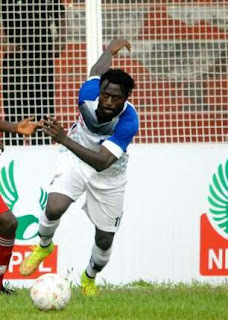 “My confidence is back, so my fans can expect more goals”, he said to naijaleague.com.ng. Okpotu has one of the best scoring records in the league.